Please click the below to see a short video of my paintings. Manet is an artist who changed the course of painting. His influence has been enormous. However, there is a question to be asked: Why is he considered a revolutionary when his paint-language so closely resembles earlier artists like Goya and Velasquez? Is it to do with his subject matter? 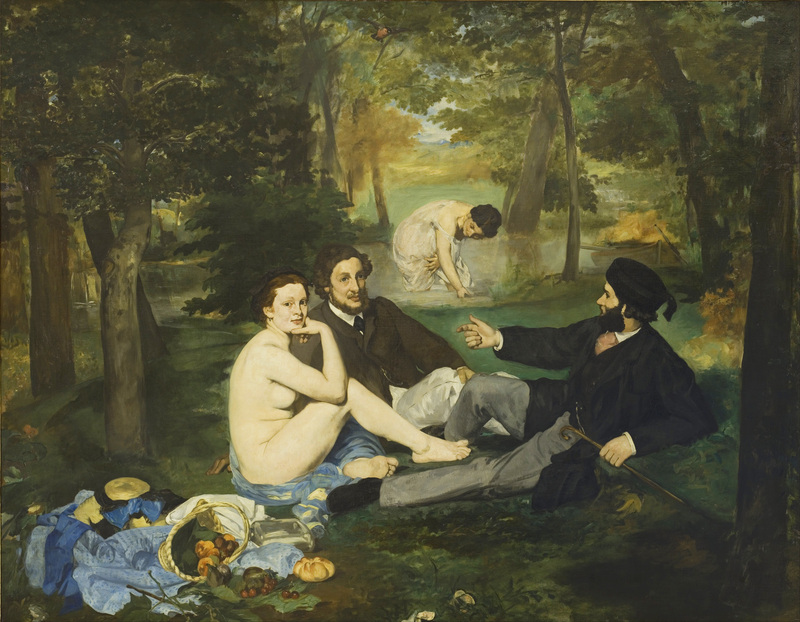 In paintings like “Déjeuner sur l’herbe” and “Olympia”, he exposed contemporary sexual hypocrisy and scandalised the bourgeoisie in Paris. If this is the reason for his enduring fame, he would be a political art propagandist or a painter like Constantin Guys, a man of his time, not necessarily a great painter whose paintings transcend their time. I believe it is precisely through his paint-language that he made his most important contribution to painting. He sensed the mainstream of painting had been corrupted by pseudo-classicism. 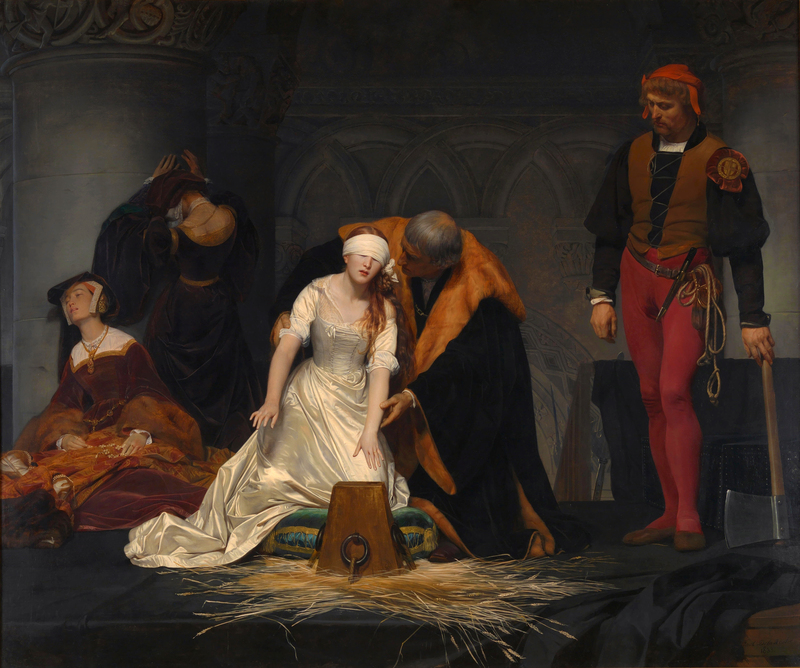 Painters like Delaroche and Bouguereau didn’t want to transform the world, they wanted to make paintings which would be acceptable to the public. They are precursors of modern advertising, where things are made to appear nicer than they are. By dismantling the ingredients of painting and allowing them to re-make the image, Manet destroyed the prevailing clichés in painting and brought in a new vision of the world seen through intense colour relationships. In a sense colour was: ” A foil to his naivety “. He discovered his view of the world through colour. Later, Cézanne, Van Gogh, Gauguin, Matisse and others would do the same, each finding something different to say. We are in a similar predicament to Manet’s and have been for some time. Photography has made the surface of things exist without an underlying understanding of forms. The beauty of a photograph is in the randomness of illuminated shapes which make an image. 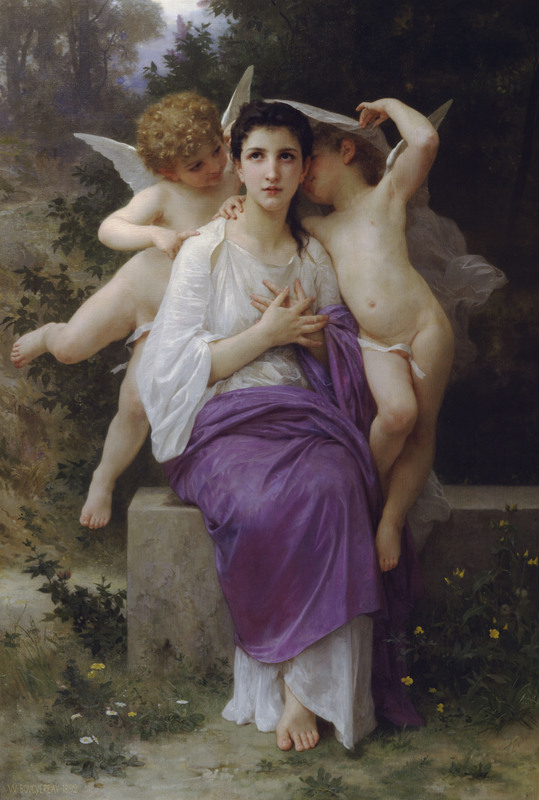 This surface depiction is very similar to the highly finished surfaces of Bouguereau and Delaroche. Beneath their apparent completeness is a literal rendering of separate forms which are unconnected. De Kooning’s and Pollock’s uncertainty, their constant looking and revising, has gone. Now painters make a product, sometimes getting someone else to paint their pictures. The difference between a product and a potential work of art is the potential work of art can fail.Sometimes great paintings are partial failures. But products never fail. Painting must change or die. This is Manet’s legacy.